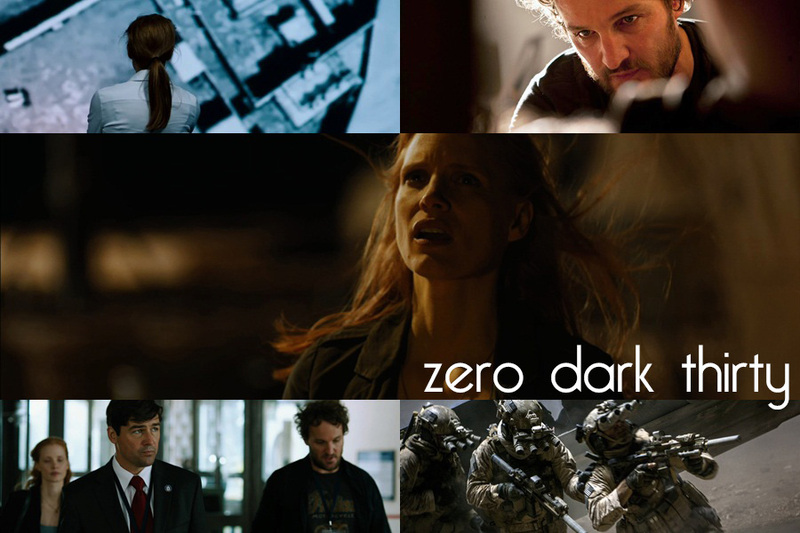 Zero Dark Thirty (2012) / US / Out in cinemas now / Directed by Kathryn Bigelow / Written by Mark Boal / Starring Jessica Chastain, Jason Clarke, Jennifer Ehle, Mark Strong, Kyle Chandler, Joel Edgerton, Mark Duplass, Chris Pratt, James Gandolfini, Edgar Ramirez / 157 mins. 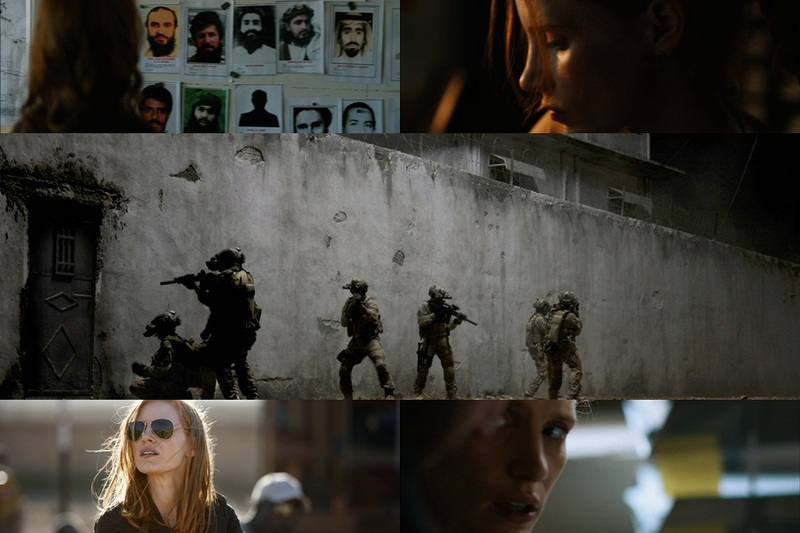 Zero Dark Thirty is not a movie I went into expecting to feel uplifted. But uplifted was exactly how I felt as I made my way out of the cinema, slightly shaken by what I had just seen. It may sound silly to the Oscar haters or Avatar lovers, but when Kathryn Bigelow became the first woman in history to win an Oscar for Best Director, my life pretty much changed right there and then. I decided I wanted to become a director too, but that aspiration has had some fine tuning over the years and now I realise that it was because of that moment I have learned two very valuable things about myself: I always have wanted to be a leader and do things that not everyone else can do (in this case, Kathryn is a female director who makes 'male films'). In a way, I guess you could say that a very large reason behind the fact that I'm Head Girl at my school comes down to Kathryn Bigelow being a badass woman. While I didn't absolutely love The Hurt Locker (but I sure as hell love it more than most) - but I do quite love her 1995 cult hit Strange Days - Zero Dark Thirty presented something that was rather inspiring to me. It tracks the biggest manhunt of the century, and there was a woman at the centre of it all. Maya is a pretty difficult character, but Jessica Chastain's performance is a work of art. Maya doesn't have much of a personality. She's driven to achieve. She knows what she wants and she'll stop at nothing to do it. She goes from a girl flinching during her first interrogation to someone who cannot be deterred by anything because that could hamper her chances of getting the results. Chastain plays everything straight, but she also plays Maya out to be a human. It is a performance that works on the subtleties, especially evident in that scene where she identifies the body of Bin Laden and comes to the realisation that everything is over. There's no Oscar clips where she has a tearful monologue of why she must catch Bin Laden. It is a real performance, as opposed to someone who is just handed all the dialogue in the script to make the character. While this is definitely Chastain's film, the ensemble is amazing. I couldn't go 20 minutes without seeing a face I recognised. Even Mark Duplass was in the film, which is pretty far off from that mumblecore indie hipster whatever that he's been doing everywhere else. Jason Clarke is having a boomer time at the moment, and even though his character Dan is involved in those controversial torture scenes (which I won't even bother getting into), he is pretty much the closest thing that this movie has to having a heart. Jennifer Ehle's character also brings some brightness to this rather dark film. I also thought Kyle Chandler and Mark Strong were two particular stand outs as the CIA executives that have to work to fit around Maya. The one thing that struck me most about this film, though, is how little it actually feels like a film. Of course I don't know the full story (and really, who does? ), but Mark Boal put everything together so meticulously. This could turn people off, as there's so much to take in, but I enjoyed how everything just kept rolling out. In fact, I didn't even realise how fast my heart was beating until that very end scene, where I could finally feel relieved and I literally felt my heart slow down. It was a pretty strange feeling. Given how detailed the script is, you have to have a skilled director on board. Kathryn Bigelow was literally the most perfect choice for this film. She realises that everything is being played straight because it wants to tell the story as opposed to making a story. I expected there to be lots of handheld camera like she had in The Hurt Locker, but this film has such a natural style that takes the 'movie' aspect away from it. It is kind of hard to pinpoint exactly what makes her direction so fantastic, but when I saw her name appear in the credits, I felt myself expressing an overwhelming amount of gratitude. She was already a huge role model in my life, but my adoration of her pretty much went through the roof here. Zero Dark Thirty is definitely not a movie for everyone. It requires a lot of patience and understanding. Just like the task at hand and the way Maya is as a person. Those who put in will definitely be rewarded. 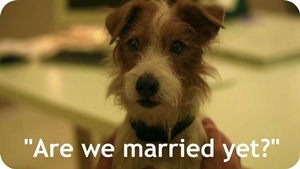 I, for one, was just totally inspired by this film. Not only was it a film with my favourite actress Jessica Chastain playing an extremely strong character, it was directed by my biggest idol, Kathryn Bigelow. And guess what she was doing? Something different. Not to put anything indelicately, but no one could ever have the balls to make a movie like this in the way she did. And that's pretty much as inspiring as things get. The movie was good, however I loved more Jessica Chastain. She was outstanding. She definitely was! I really hope she wins the Oscar. Yeah, he is getting pretty intense with his campaign. Reminds me of The King's Speech all over again. I do hope that Chastain wins, I think there's a large possibility that she'll be rewarded at the BAFTAs. Something different indeed. And just like The Hurt Locker, I can see why people don't dig ZD30. It's so restrained and patient - like you, I loved it, and I thought Chastain just owned it. It isn't the kind of film everyone could love, but it is so wonderful. 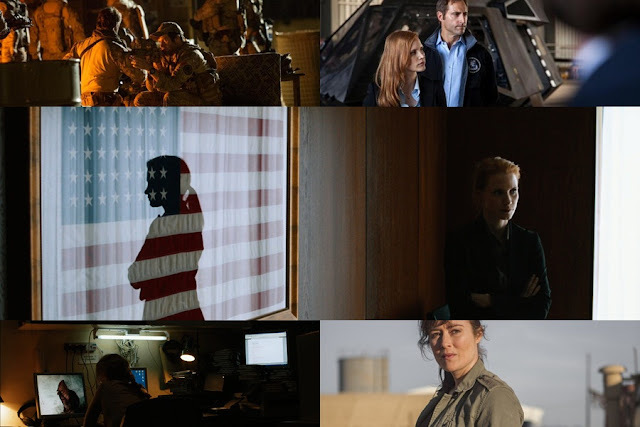 I'm rewatching The Hurt Locker now and while I enjoy it, Zero Dark Thirty is a better work. Nice review. I loved the film as well, and Chastain was great. Riva gives my favorite Oscar-nominated performance, but I wouldn't mind Chastain winning at all. I still need to see Amour - is it strange that I think Riva could pull a surprise win and that Michael Haneke could win Best Director? That would make things interesting. However, I'd love for Chastain to win. I do like Jennifer Lawrence in SLP but J-Chas is 1000 times better. So overwhelming is the momentum that it proves possible to live with the intelligence that the protagonist is complicit in ground-level fascism.